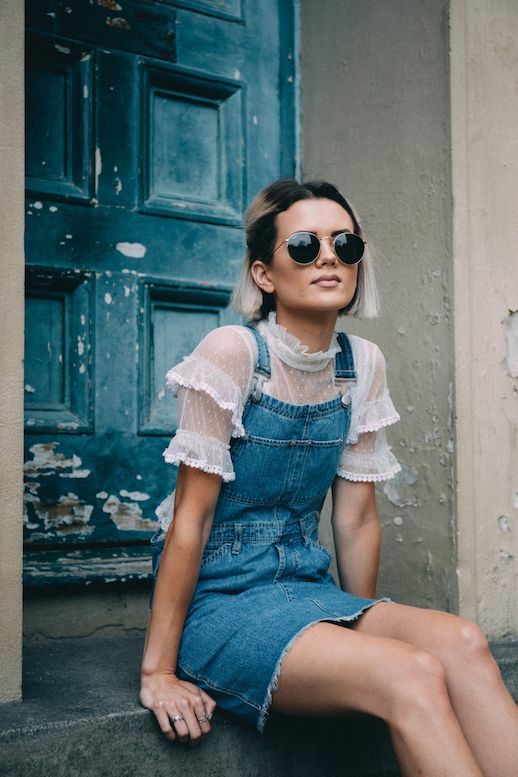 The roughness of denim combined with the femininity of sheer lace create a beautiful pairing. 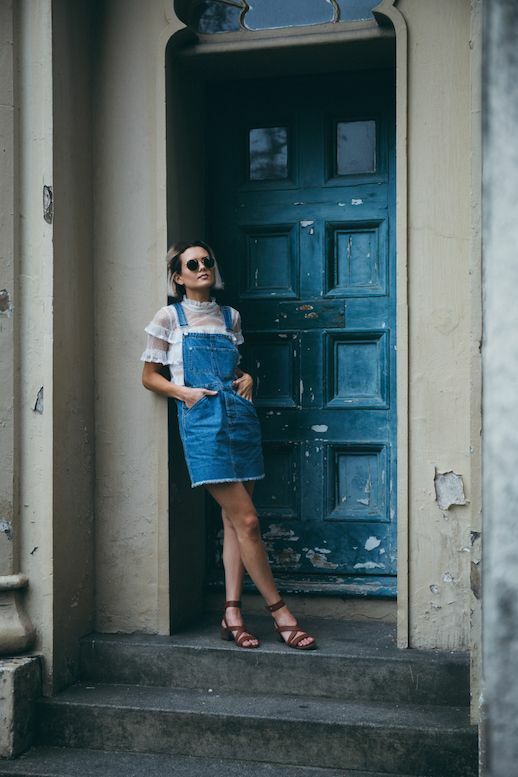 This blogger proved that in a denim overall dress layered over a sheer, lace, ruffle-sleeved top. Not too girly. Not too tough. That's a middle ground we can all agree on.